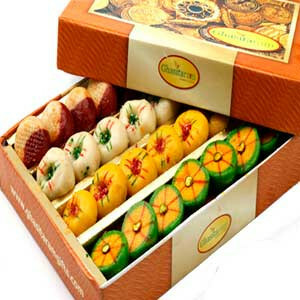 400gm Sugarfree Assorted Mithai Box. A Beautiful gift box containing Assorted Mithais made from sugar, ghee, and refined flour. These Sweets are made from sugar subsitute which is ideal for Diabatic and Health Cautious people.